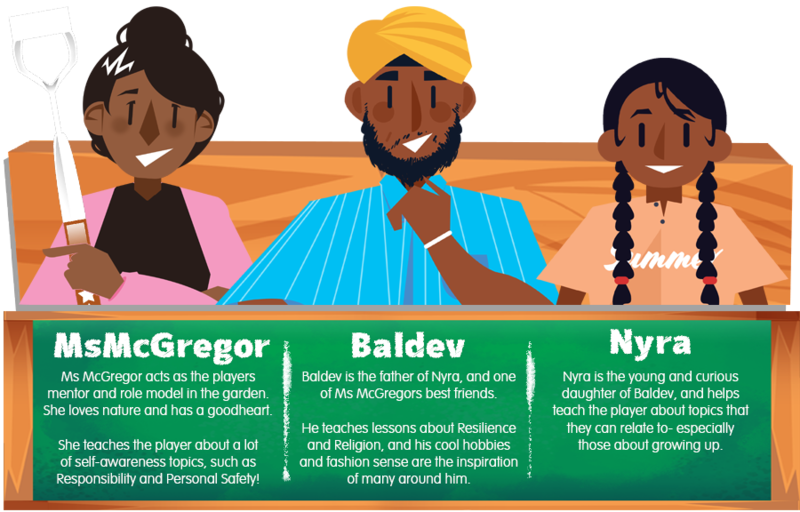 In Ms McGregor's Garden, we present to the player both a space to independently manage their own garden area, and a space to learn from and relate to members of the community. 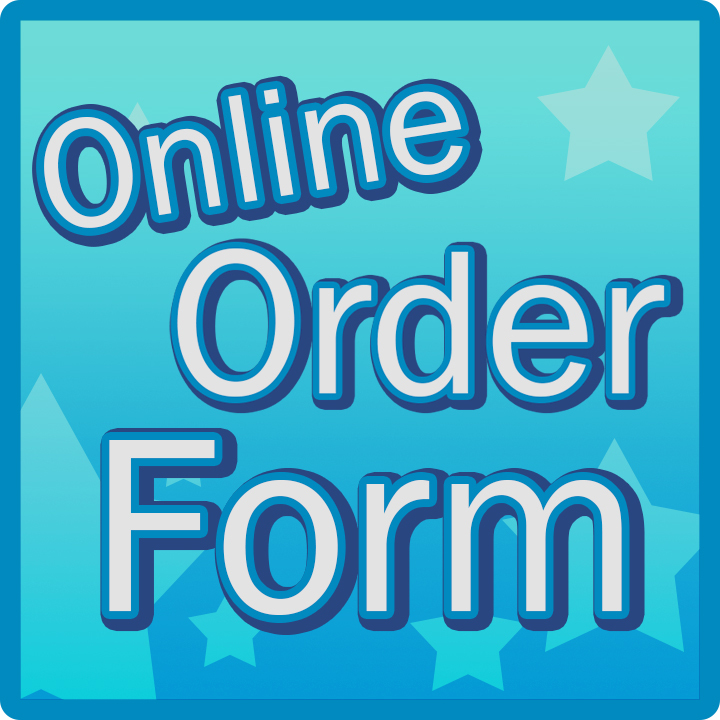 We pride ourselves in offering a wonderful array of characters from different faiths, opinions, ages and backgrounds- guaranteed to make your students have their favourites. 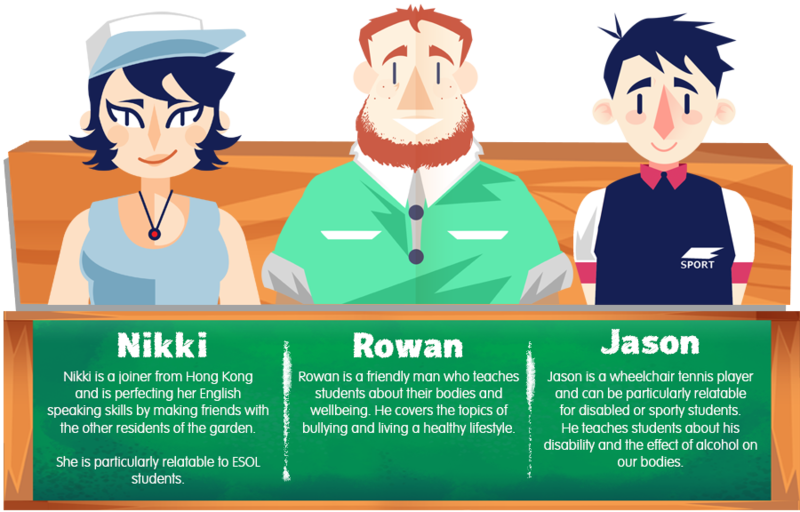 We believe that students can learn independently from vibrant characters with relatable personalities and backgrounds, and relate those topics to the characters themselves. Our inclusion of students into the Ms McGregor community is well suited to those who may feel disengaged or struggle to form relationships with their peers. 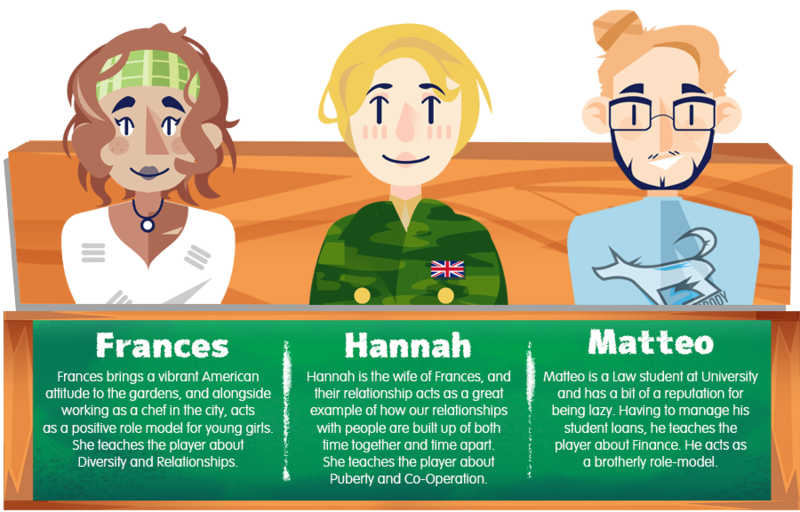 Come and meet our cast of characters below, and how they can work with you to deliver engaging PSHE content to your classes!